1st Edition Commemorative Reissue A Guide Book of United States Coins "The Red Book"
Now Available. 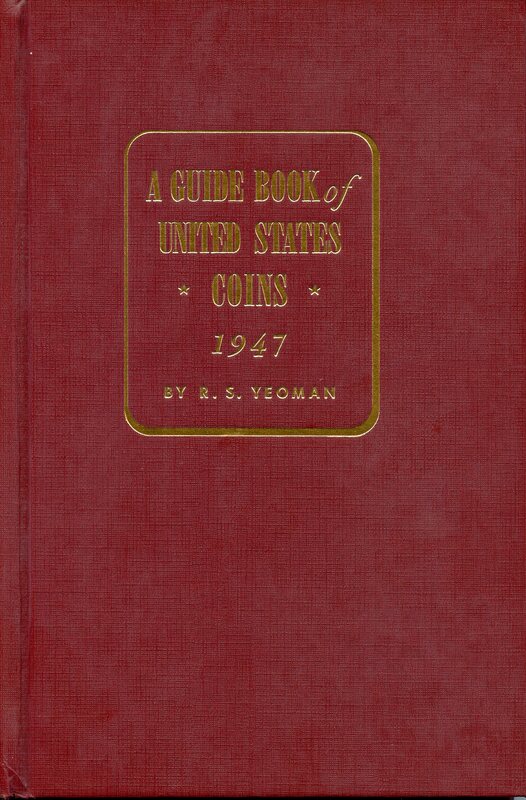 The 1947 first edition of R. S. Yeoman's Guide Book of United States Coins when first issued totaled 18,000 copies - a small quantity by today's standards. The "Red Book" quickly grew into the world's most popular numismatic reference, and one of the best-selling nonfiction books of all time. The 1947 Tribute Edition is an exact recreation of the first Red Book. Every page is exactly as it appeared back then: every word, every photograph, every coin value. It's like opening a time capsule of numismatic history. At the back of the book you'll find a full-color section comparing coin collecting of 1947 with the hobby of today. 1909 S $3.75, 1909 S VDB $15.00, 1914 D $10.00 and the 1931 S $1.35. By comparing the prices from 1947 to today's prices it should give you some insight as to what these same coins could possibly be valued at in another 60 years. The coins that appreciated the most from then till now will more than likely be the same coins to continue to grow in value at the same pace in the years ahead.